Post subject: rBOTM August/September - Entries please! Announcement: Due to computer issues I haven't been able to set up the poll in time, so my idea is to merge August with September. You have another 10-15 days to enter. Thank you. Last edited by Elev12k on Wed Sep 12, 2012 10:21 am, edited 2 times in total. 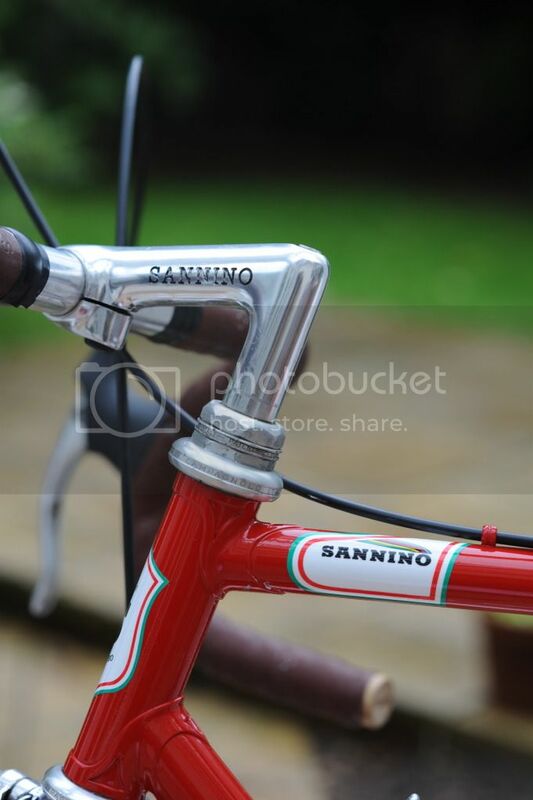 Sannino Super Record 1982, all original except the rims, which are Ambrosio Nemesis 36 new. Last edited by ugo.santalucia on Thu Aug 09, 2012 12:29 pm, edited 1 time in total. It's been resprayed in 2011, ahead of being registered in the Eroica repository of vintage bikes (only Sannino). Same red colour and same decals. It's Columbus SL, or at least so I think, as Mauro Sannino told me he built most of his frames in SL (yes, he is my friend on Facebook!). All the parts are SR, with a few pantographed bits (Chainring and seatpost are AB, which is Angelo Boeris), the stem is pantographed Sannino. I have recently rebuilt the wheels using Ambrosio Nemesis tubulars, to put a bit of life back in the bike, as I still use it as best/fast bike... it climbs Box Hill in under 7 minutes. It's done the Eroica three times, the Anjou Velo Vintage once and the Retroronde once. It's also been up a few Italian cols and climbs. Although ridden in hilly North Wales. Post subject: Pettenella Special: Olympic. he retired in 69 and open a frame shop where he made specialist road and track bikes. Campagnolo deralleurs ( Gian Robert rear ) 3T stem bars and seatpost. Post subject: Lots to like here...! All very nice! I'm an old-school Peugeot man myself, but I do like a Raleigh, particularly if its 531 Pro tubing!! 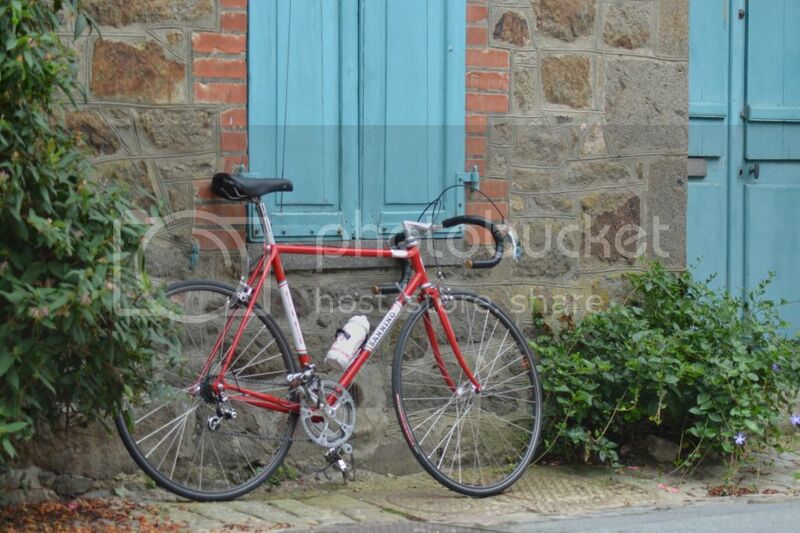 Well, if we're going to have red and white Flandria lookalikes this month - here's mine! Not absolutely sure of the frame's parentage (possibly Bernard Macklam from Leeds although the frame was originally obtained by a friend from Hargreaves in Dewsbury) sprayed by Chris Marshall with home-made vinyl decals to give the 'Freddy Maertens flavour'. Bit of a mixed bag of fittings period-wise but still with the 'classic' touch.